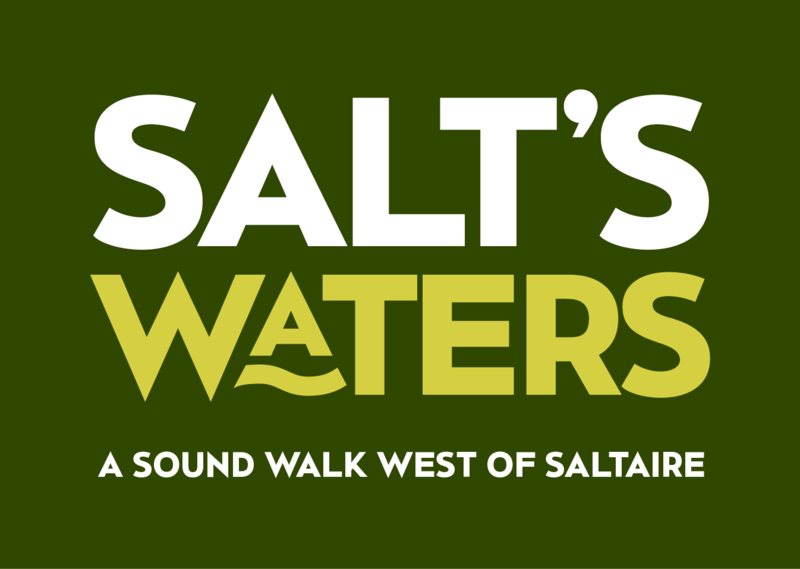 First and foremost, Salt’s Waters (2016) is a downloadable audio tour for smartphone or mp3 player, which guides walkers in a circular adventure from Salt’s Mill, Saltaire, up the ruins of Milner Field House at Gilstead, via the River Aire, Loadpit Beck, and Little Beck, before returning via the Aire and the Leeds-Liverpool Canal. In addition to Steve’s narration, and other voices performed by Rob Pickavance, the audio tour features Eddie Lawler’s song ‘The Ballad of Little Beck’, which was written especially for the context, and tells the story of Milner Field in words and music. For full information and download instructions, click here. 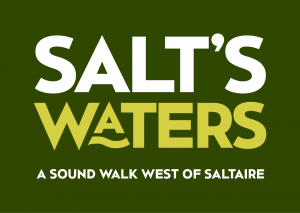 A work-in-progress version of the audio walk, tracing the same route, was conducted under the same title as a guided group walk on April 19th, 2015, as part of Saltaire’s World Heritage Weekend (blog account here). The presentation was adjusted for context slightly each time we performed it. For the record, however, a representative version of the performance text is reproduced below with accompanying images. All song lyrics are ©Eddie Lawler www.eddie-lawler.co uk. Reproduced with permission. Cos we’ll not have no messin’ around with / Our ‘andsome Airedale ‘ome! STEVE. Airedale. A long, eastward valley carved out by the movement of a glacier, eleven and a half thousand years ago. 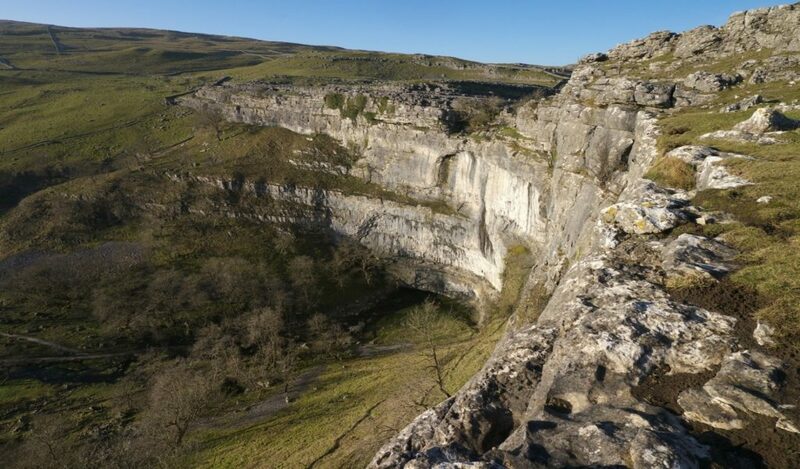 A valley down which flows the River Aire… moving from limestone moors to millstone grit. 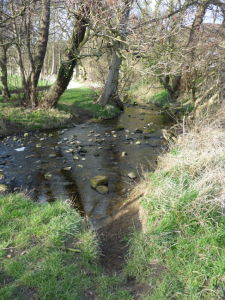 And along the way, coming down from all those Yorkshire hills, at frequent intervals, there are streams and becks and rivulets that swell the main river as it goes, like liquid soldiers joining an expanding army as its marches toward the sea. But it’s all just water, right? That stuff that comes out of a tap? These days we often just think of water as a singular substance – a quantifiable resource to be captured and treated, piped and channelled, bought and sold. 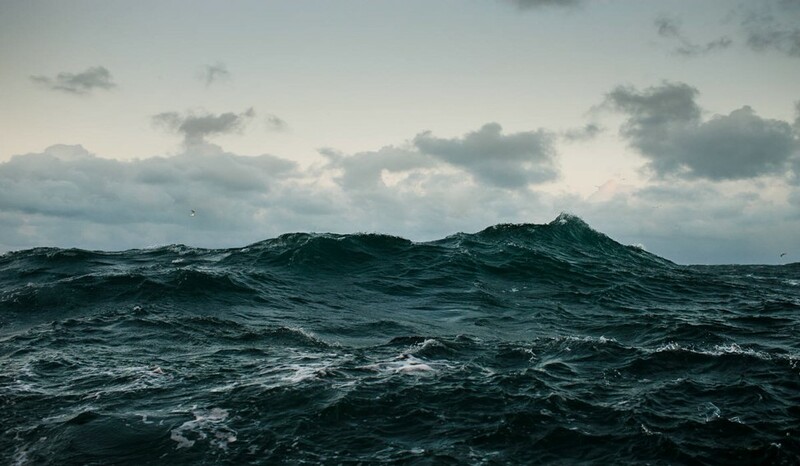 But prior to the nineteenth century — prior to the modern scientific era of H20 — prior to the modern industrial era of resource exploitation — people tended to be more interested in how waters were different, than in the ways they were the same. Waters tasted very different, for instance, depending on the mineral landscapes they moved through. And waters represented aspects of the histories of places — their stories told in folklore, religion and natural philosophy..
STEVE: Tuscany is a long way from Yorkshire. 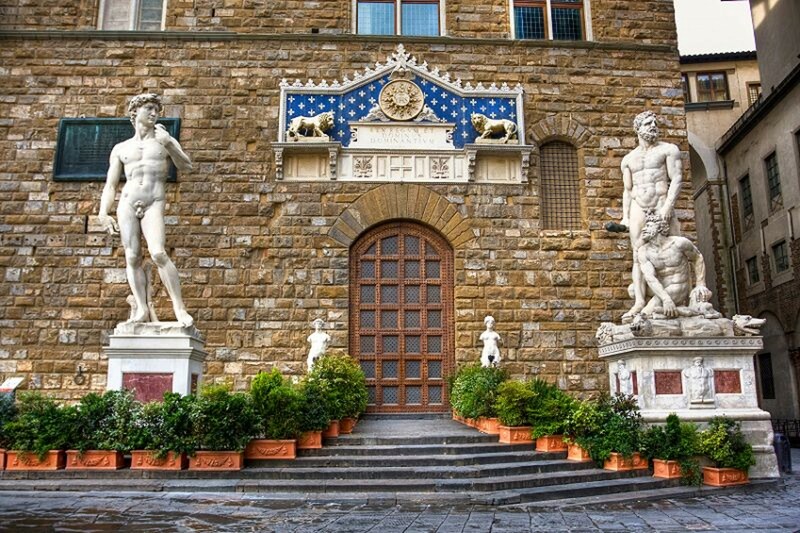 But in the glorious city of Florence, there lies the Palazzo Vecchio – a building that boasts Michaelangelo’s David as its doorman. Inside the Palazzo, there is an upstairs room that was once the office of Niccolo Machiavelli. Directly next door to that lies the map room of the Medicis. In the fifteenth century, the Medicis were the most powerful family in the world, and that power derived in part from their unmatched intelligence networks. 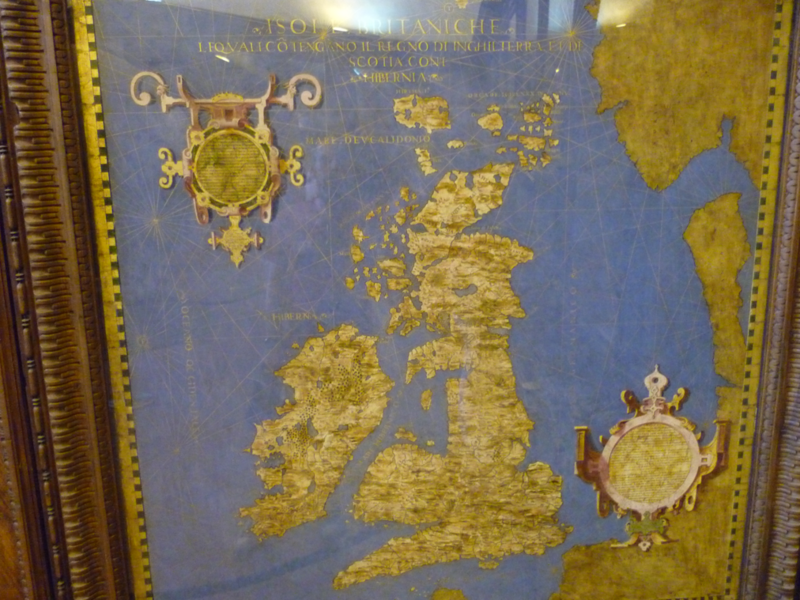 The map room is a treasure trove of parchments, illuminated in gold leaf, laying out everything that was then known about the shape of the world… and in one corner, the distant British Isles are still on display. What is most remarkable is just how accurate the map appears … Wales is a bit squashed, Ireland is distinctly wonky, but the outlines of every part of these islands – right up to the Scottish Hebrides – are nevertheless unmistakable. That’s presumably because the Italian spies did most of their mapping by water. By boat. 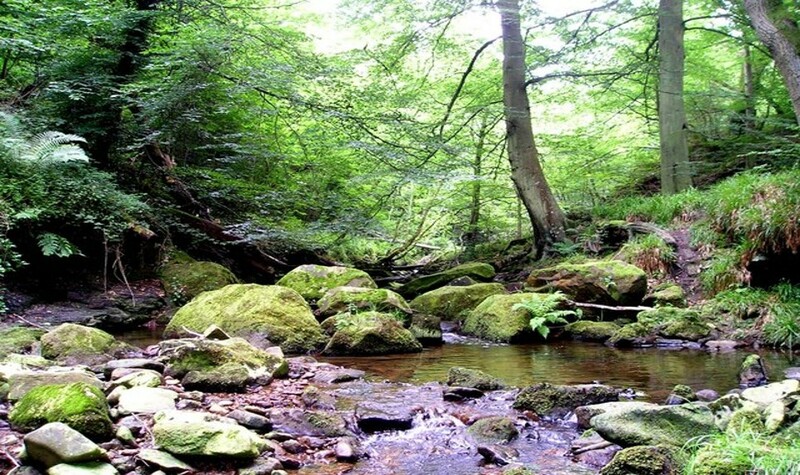 For the same reason, the mapping of Yorkshire is characterised mostly by its numerous, snaking rivers. There is Richmondia, near the head of what must be the River Swale. 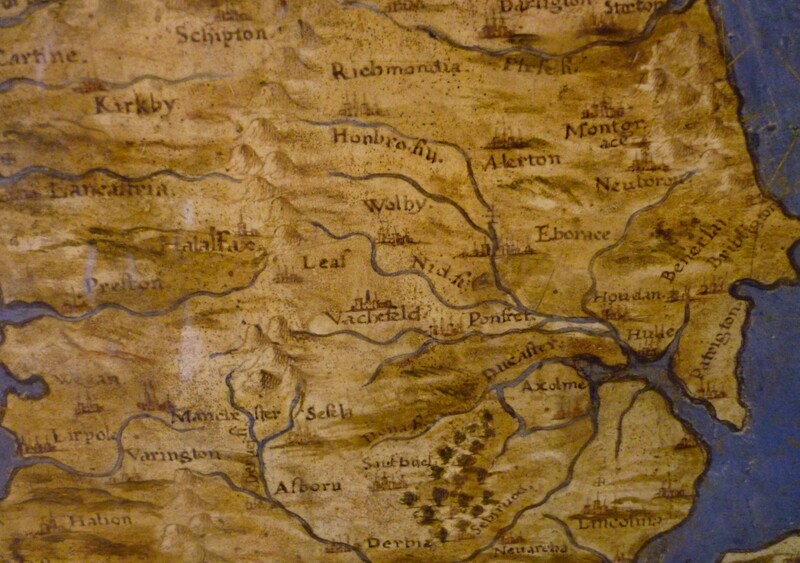 There is Vachefeld – Wakefield – accurately mapped to the River Calder. “Halaifax” seems to have drifted across towards Lancashire, somewhere in the proximity of Preston, because the Italians apparently decided against trying to make proper sense of the high Pennines. But there, on the River Aire, is a town called “Leaf.” Leeds. But what really cemented Leeds’s lead in the Yorkshire wool race was the Aire and Calder Navigation. A grand scheme to canalise parts of the River Aire – and the neighbouring Calder – so that quite sizeable freight boats could make their way 70 miles inland from the sea. 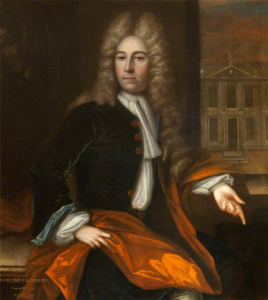 Sir Walter Calverley was, by right of birth, Lord of the Airedale Manors of Calverley, Yeadon and Esholt. He was the direct descendant of another Sir Walter Calverley, whose brutal murder of his own wife and children had made him the subject of a 1608 play – A Yorkshire Tragedy — credited on its frontispiece to one William Shakespeare (although scholars now doubt the attribution). The new, aspirant middle class of Yorkshire had to wait another quarter century before the means to really turn a profit came onstream. 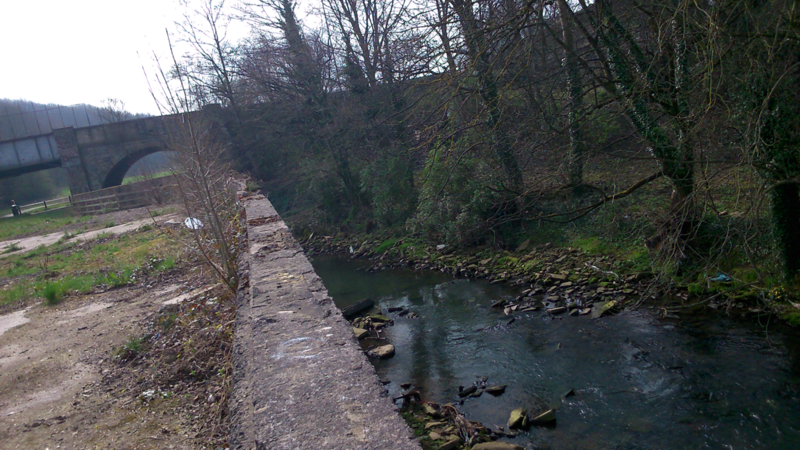 In 1774, a new canal opened — running in close parallel with the River along the Aire valley – and thus passing close by all three of the Shipley water mills that Samuel Denison had once operated. The canal opened up a waterborne freight route to and from Leeds, and when eventually completed it extended all the way up and over the Pennines, then downhill again, via Wigan, to Liverpool, on the west coast. Cut to the mid-19th Century. The height of the industrial revolution. Thanks to its thriving woollen industry, Bradford is the fastest growing city in Victorian England – possibly the world. Yet this new capital of capitalism faced a permanent headache in the shape of its vital transport link. To take a cargo boat along the three and a half miles of the Bradford Canal, from the Shipley junction up to Hoppy Bridge, you had to go through no less than ten locks – including three two-rises, and a three-rise at Crag End. This meant that, at busy times, with boats having to wait for each other to come and go at these long, thin bottlenecks, it could take up to three days to get a cargo into the centre of town. Worse still was the issue of water quality. 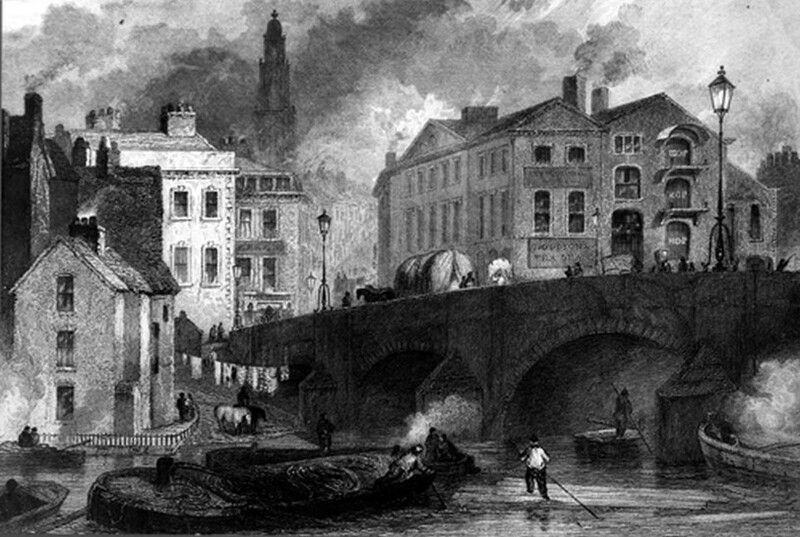 To feed the lock system, which constantly sent water escaping downhill towards Shipley, the canal company drew water from Bradford’s small river, the Bradford Beck – which flowed along the same valley to its intersection with the River Aire, at Shipley. 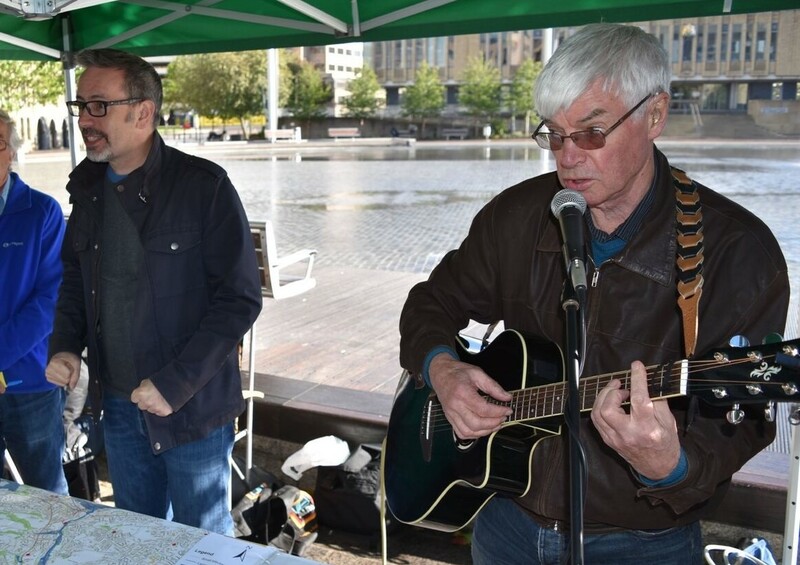 Draw a deep breath if you intend to sing / ’Cos this … song … STINKS! By t’ Bradford Canal, please … no naked lights! STEVE: In 1849, 406 people died in a cholera epidemic in the canal’s vicinity, prompting an elongated legal argument about the appalling sanitation conditions. 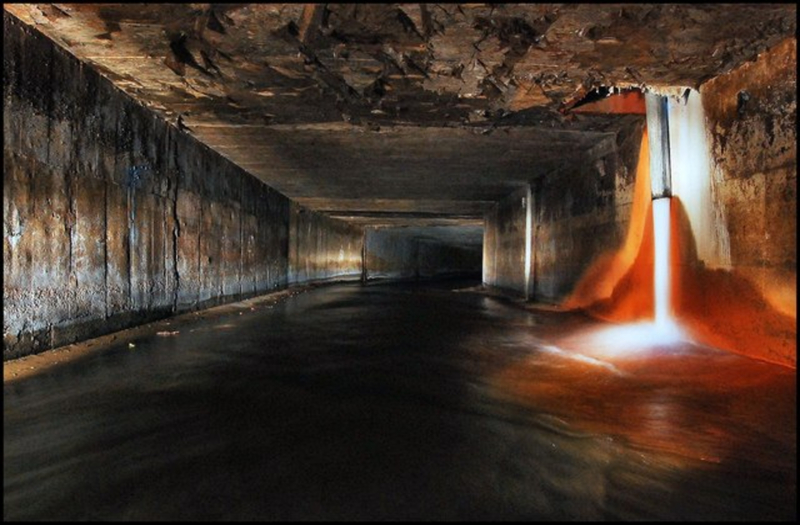 In 1867, the Bradford Canal was finally shut down until a safer water supply could be engineered. It remained closed for five years, much to the distress of local factory owners, who still depended on it as a vital freight route. Not, however, Sir Titus Salt. One of the city’s leading industrialists, Sir Titus had seen the writing on the wall. In 1850, the year after the cholera epidemic, he had begun buying up land in the Shipley area. Why trust your commercial future to an inefficient branch line, that might get closed down as a public health risk, if you can to relocate yourself onto the mainline? 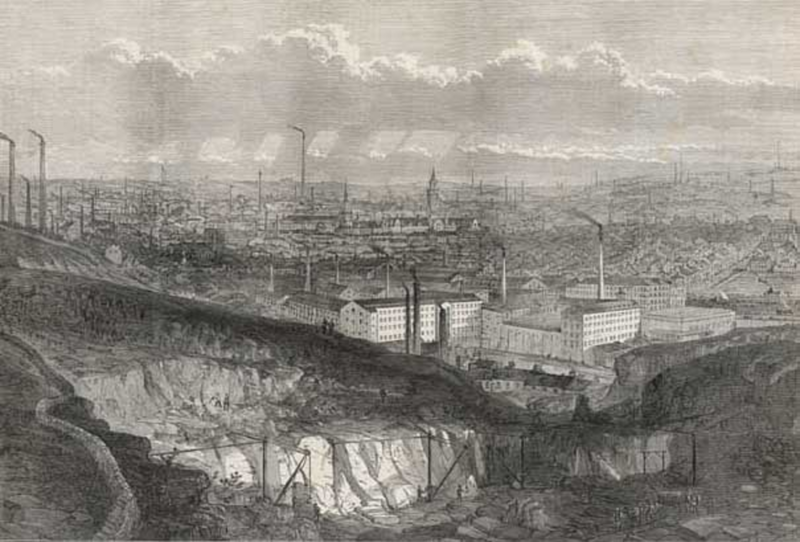 In 1853, Sir Titus opened Salts Mill – then the largest mill building in the world – on the banks of the Leeds-Liverpool Canal. He also began building a model village of workers’ houses, with proper sanitation and drainage. Then, in 1867, he opened another mill – New Mill – on the riverside site once occupied by Dixon’s water mill. But Sir Titus didn’t need waterwheels. His was the age of steam. Just across the River Aire from Hirst Mill, on the downstream side of the weir, a small stream empties out into the main river. Loadpit Beck, which once ran reddy brown with the mineral deposits that gave it its name, marks the traditional boundary line between the parishes of Baildon and Bingley. 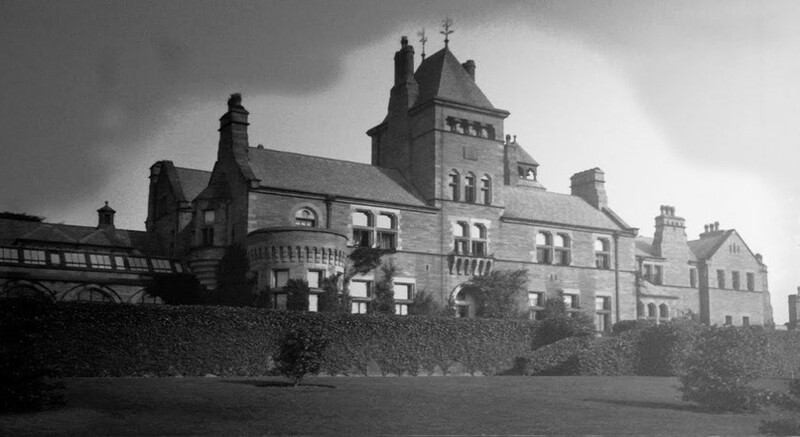 If we track the Beck uphill a little, and then turn left along a chestnut-lined avenue, we come to the gatehouse lodge for Milner Field, the great country house built here in the 1870s by Titus Salt Junior. The hothouse conservatory at Milner Field is just about the only part of the house still clearly identifiable to the casual visitor. An expanse of concrete flooring, ringed by a low kerb that once edged the flower beds. In the middle of the floor, the fading remains of a mosaic tile design. 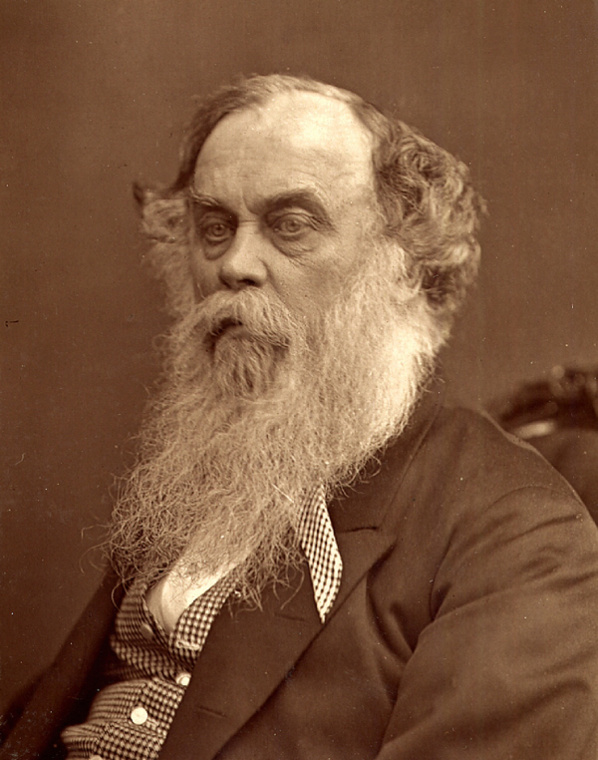 Titus Salt Junior. Age 44. Good general health. Dies of sudden heart failure in the Billiard Room at Milner Field. James Roberts, the next Managing Director of Salts Mill. Watches all four of his sons die young, three of them while living at Milner Field. Ernest Gates, the next Managing Director of Salts, loses his wife Eva to “an obscure disease” within weeks of moving in at Milner Field. Eighteen months later, age 51, Gates himself dies of septicaemia. Hollins’s sons abandon the house their parents died in. It has been occupied for less than sixty years. The great houses of the Salt dynasty. Milner Field to the west, Ferniehurst to the east, the Knoll, even Titus Senior’s home the Crow Nest, near Halifax… all gone. Forgotten. Demolished. As nature takes its course. STEVE: Ladies and gentlemen, we’re getting towards the end of our time with you this evening, so let’s bring our story up to date. To this post-industrial era. In these decades following the Revolutionary Reign of the Divine Margaret, the people of Airedale don’t actually make anything anymore. Somebody, somewhere, realised it was cheaper to make the mohair jumpers nearer to where the llamas are, instead of bringing their wool all the way here to be sorted, scoured, combed and woven. We don’t make things any more, but we do still sell ‘em, and these days, the riverside land-grabs are all about supermarkets. Former mill sites are now prime brownfield targets for the builders of big metal boxes with big glass windows – big metal boxes to be staffed at minimum wage, on zero hour contracts, by the children and grandchildren of millworkers. Save Our Scrapyard, it’s Shipley’s pride and joy! 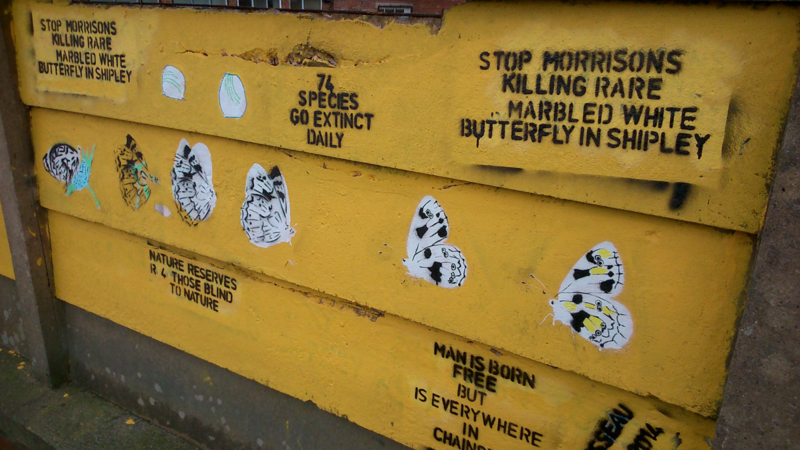 These legends are stencilled in black onto patches of vivid, Morrisons-yellow paint, alongside images of the threatened butterflies. If you look carefully, you can see that somebody – perhaps Bradford Council – has attempted to paint over the offending text in a slightly different yellow, while leaving the decorative butterflies to beautify the dull grey walls. Not to be silenced, the protestors have returned to reapply the stencils. Meanwhile, this impromptu canalbank gallery has been lent celebrity glitter by the appearance of other images apparently stencilled by Banksy – the world’s most famous graffiti artist. 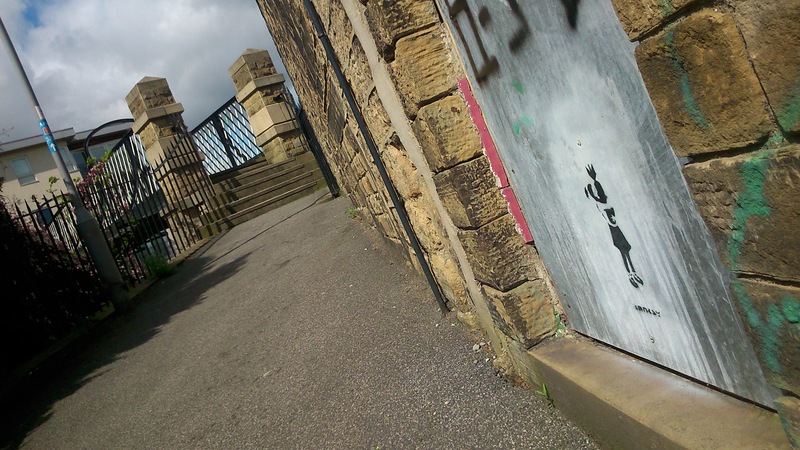 A single image recurs three times in the vicinity of Shipley Wharf and Gallows Bridge – the image of a young girl clutching a black flying bomb as if it is a beloved teddy bear. She is waiting for the future to blow up in her face. 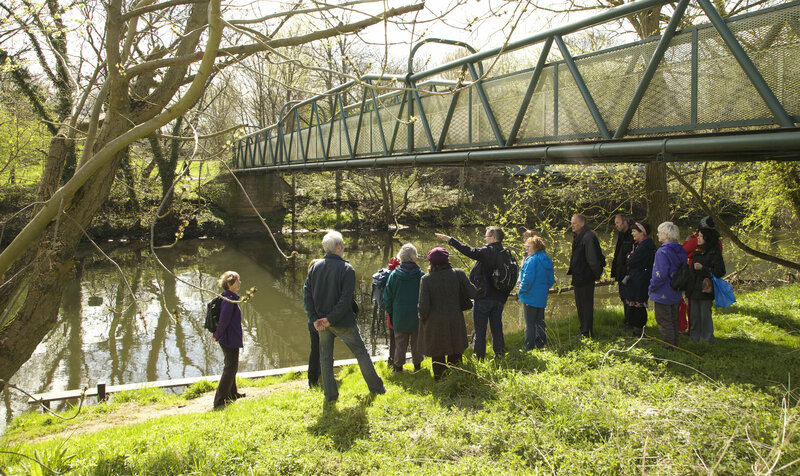 When we look at our canals and rivers, what do we see? 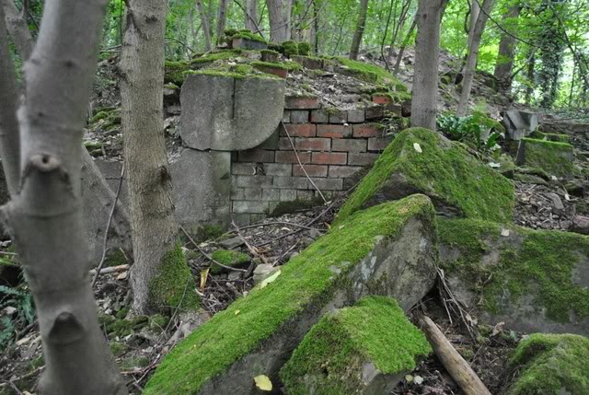 Do we see post-industrial neglect and future decline? Do we see opportunities for commercial regeneration? 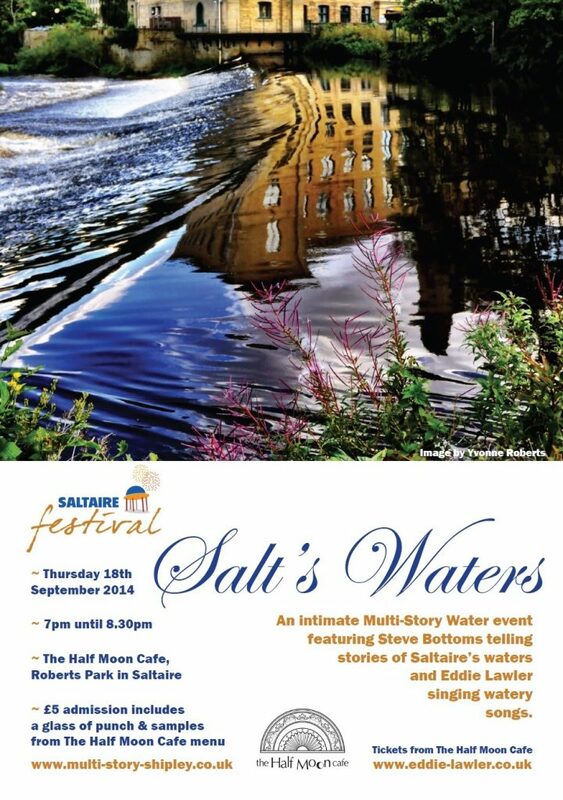 Do we look at waterways and their banksides as resources to be exploited? Or do we see them as speaking to a sense of place… To a kind of belonging? Despised, unrecognised – set me free!